E3 2011 event held recently was indeed save a few interesting stories. Of the several major gaming titles that finally introduced, motion control technology is increasingly impressive, until the birth of a new console that pioneered by Nintendo. Despite the various criticisms that were presented to him, Nintendo's latest console - Nintendo Wii U is the focus of attention at the E3 2011 event. How could not? 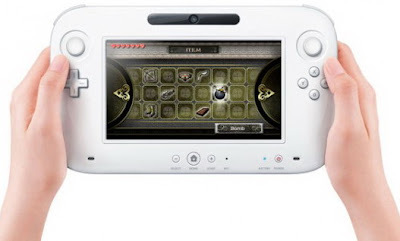 With the concept of a unique controller, capable graphics quality, and price (rumors) affordable, the Wii U save huge potential. But apparently this would produce a far different impression of the business. Nintendo concept of the Wii U did seem a bit awkward. Controller with a super large size, a game that started retell "multi-platform ', and gameplay that conventional back as eclipsing all the advantages possessed by this new console. Nintendo seemed to lose the essence as a family console. With games like Ninja Gaiden and Ghost Recon are present there, Nintendo like showing the world that they are now different. This is what might trigger a downturn in the market economy. Investors see this as something dangerous. The result? Nintendo stocks fell. Since its introduction at E3 2011, Nintendo's stock fell to its lowest point since 2006. On the first day of the introduction of the Nintendo Wii U, Nintendo have to swallow the price decline amounting to 800 yen from 16,970 yen to 16,170 yen. This continues until the time of this story was written. The decline was the first time felt by Nintendo. In the light, when the Wii and Nintendo DS was introduced, the stock market reacted very positively. This is also compounded by the level of sales of Nintendo 3DS was not as envisaged. Moreover, Nintendo competitors are, Microsoft and Sony also held a massive campaign and continue to introduce features that should be recognized more interesting.